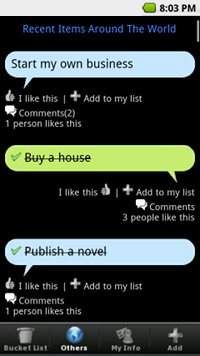 Keep track of your Life To-Do List or Bucket List with this app for your iPhone or Android phone. Search for "Bucket List" on the Android Market. 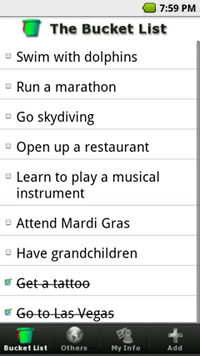 The Bucket List for Android is free.